Sure, undercover speakeasies and private supper clubs are supposed to be secretive, but if everyone knows the password and the place has a liquor license, can you really call it a secret? DC, the ultimate city of backchannel deals and off-the-books meetings, can do better than that. Given the city’s long, dramatic history, there have always been some secrets and quirks in the city’s dining scene... and since we’re feeling generous, we’re even willing to disclose a few. Washington locals will defend ownership of mumbo sauce until our dying breath, but unfortunately, the law isn’t on our side on this one. The red-orange, sweet, spicy, tangy condiment is thought to have originated in DC’s carry-out wing joints, and it quickly spread to Chinese restaurants. Now you drench just about anything with it in the District, and everyone understands. However, the sauce also has roots in Chicago. 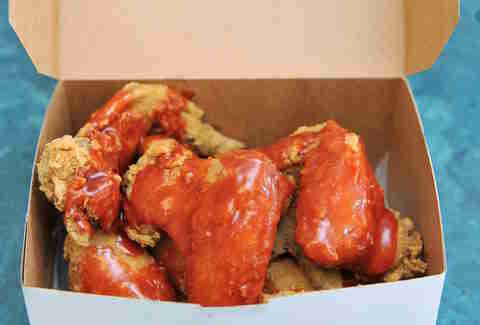 A company called Select Brands has been selling mumbo sauce since the 1950s, though their sauce differs slightly from DC’s. In a 2013 legal battle between Select Brands and a DC company called Capital City Mumbo Sauce, the Trademark Trial and Appeal Board sided with Select Brands and ruled they have the right to keep their trademark. Capital City has since changed the name of their product to Mambo Sauce, and you can still find the glorious, mercurochrome-hued, multi-use condiment all around DC, no matter what you call it. Starbucks baristas may hate you for ordering off the "secret menu," but Marcel’s welcomes it. 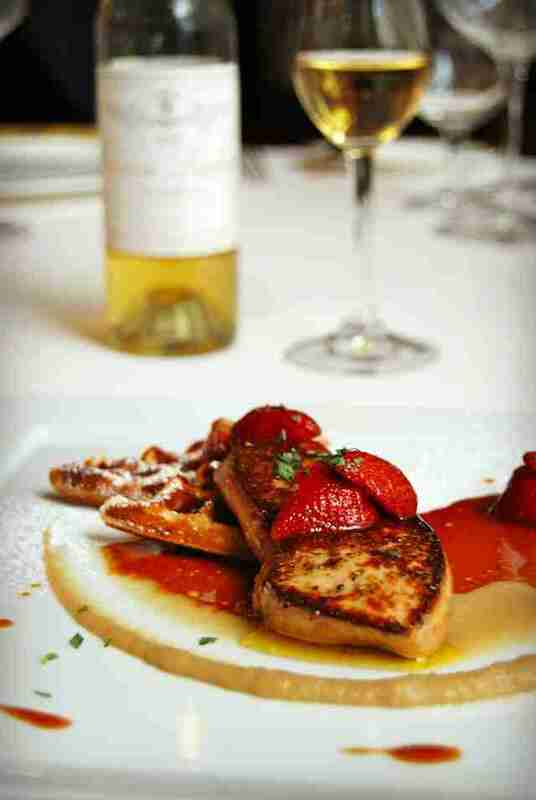 You won’t see it printed anywhere, so you have to specifically ask your server if you want the Belgian beer-battered waffle with La Belle Farm foie gras and seasonal fruits with a Sauternes reduction. "In the early days of Marcel’s, I used to have this made for me in the kitchen when I would come in early to begin prepping before dinner service," Chef and Owner Robert Wiedmaier says. "Some of our regular guests caught onto this ritual and began requesting it themselves." The decadent waffle can be yours during dinner service for $36. Stealing from restaurants is not an uncommon occurrence. In fact, Eater has devoted an entire section of their site to tracking what thieves are currently going after around the country. But in DC, people get a little more creative with what they choose to swipe. 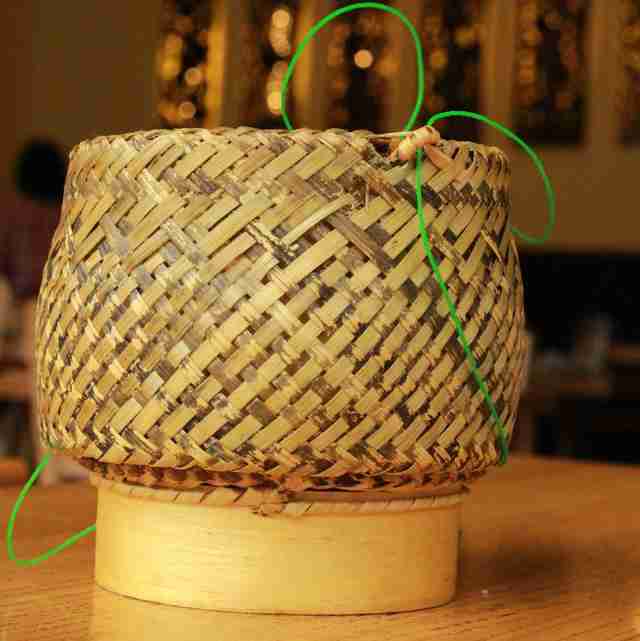 This is not (repeat, NOT) a recommended or appreciated practice in the city, but some of the most unusual items that have mysteriously disappeared from DC establishments include risqué bathroom wallpaper, vintage bread-and-butter plates, and handmade sticky rice baskets imported from Laos (they’re the namesake of local Laotian restaurant Thip Khao). We’re not proud. While rural regions in Virginia and Maryland are chock-full of wineries, the District didn’t have one of its own until this year. 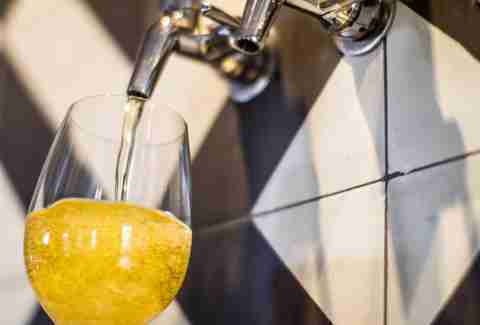 Anxo Cidery & Pintxos Bar opened in July 2016 as the city’s first cider bar and first licensed winery. They’re licensed as a winery because they make alcohol from fruit, although the process of making cider from apples is very similar to making wine from grapes. But the type of winery that people are more familiar with is on the way: District Winery is slated to open in Yards Park in 2017. The Obamas are very active in the DC dining scene, and many give the First Family partial credit for the restaurant industry’s remarkable growth over the past few years. The couple has a few go-to spots, but they also make a point of trying restaurants that are new in town. They have dined everywhere from Rose’s Luxury, Restaurant Nora, and Bourbon Steak, to Rasika, Oyamel, and Blue Duck Tavern. The first lady has also visited Chez Billy Sud, Equinox, Masseria, Maketto, Open City, Kapnos, Birch & Barley, Fiola, and Ottoman Taverna. The president, who’s known to love a good burger, has ordered them at Shake Shack, Lincoln, and The Coupe, to name a few. No one denies that the half-smoke is as quintessentially DC as taxation without representation, but the origin of our signature sausage is a little murky. Brave souls have tried to uncover the creation story of the half-smoke, but haven’t reached an entirely definitive answer. People speculate that Briggs and Co. meatpackers were the ones who first created the recipe, but now nearly every butcher has a slightly different version. 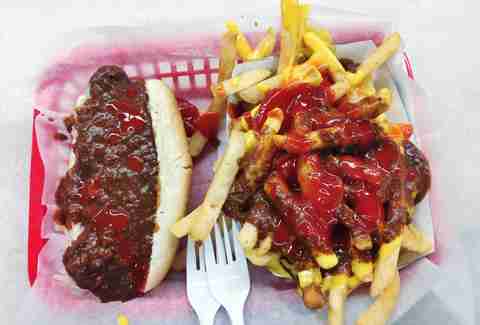 Ben’s Chili Bowl serves what is arguably the most iconic half-smoke, but many insist that the true half-smoke OGs are the folks at the roadside Weenie Beenie in Shirlington. Regardless, everyone in the city has an opinion on it. I know, I know. "They’re on TV, so they must be great!" Georgetown Cupcake seems to dominate the cupcake market -- just ask one of the poor souls standing in the line that nearly always wraps around the block. But we have so much more to offer than that one shop in the public eye. 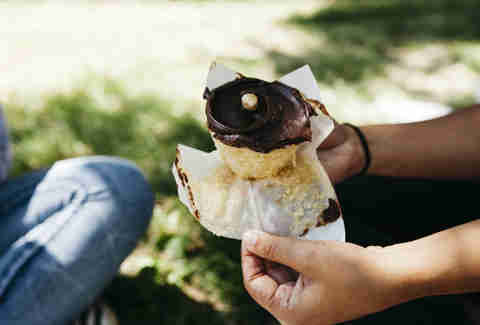 Instead of waiting for hours, check out Baked and Wired’s giant, whimsically named-cakecups (Uniporn & Rainho, anyone?) or stop in to the new Buttercream Bakeshop and sample one of pastry genius Tiffany MacIsaac’s works of art. DC is known for its rich history, but besotted tales of the prohibition era aren’t exactly front and center on our tourism pamphlets. 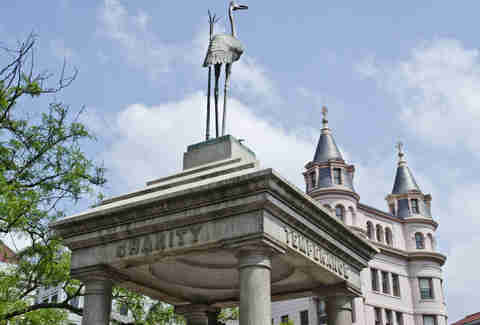 That’s why you’ve probably never noticed our Temperance Fountain. It’s one of about fifty commissioned by temperance crusader Dr. Henry Cogswell, and we’re one of the few cities that still has one. Cogswell financed the fountains in an effort to convince people that drinking water is ultimately superior to downing whiskey... and we all know how well that worked out. You know better than to head to Chinatown -- more accurately dubbed "Chinablock" -- for authentic Asian cuisine in the DC area. The Eden Center in Falls Church is the best known true option; after all, it is a legitimate Vietnamese wonderland filled with all the banh mi, spring rolls, and pho you can eat, brought to you by one of the largest Vietnamese populations on the East Coast. 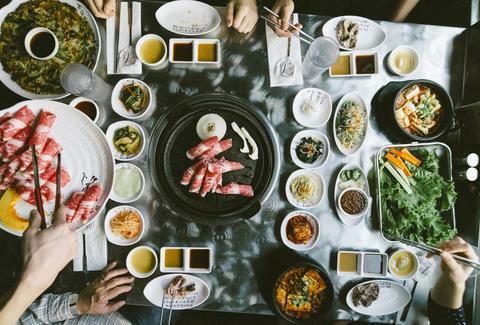 But the less talked about spots have just as much to offer: Annandale is a must-hit spot for Korean barbecue, plus an abundance of boba tea, and the Taiwanese standout, A&J. A&J’s sister location is in Rockville, where it’s surrounded by plenty of other equally-delicious Taiwanese fare. Lani Furbank is a freelance food writer who has never stolen anything in her life, but might be willing to consider it if the reward was all-you-can-eat foie gras waffles. Follow her on Twitter and Instagram @lanifurbank or read her blog at www.LanisCupOfTea.com.